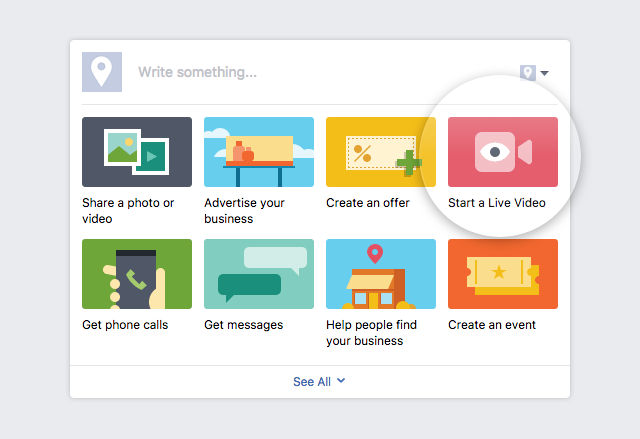 Facebook offers two options for streaming. You can either stream through RTMP in ManyCam or create a Live Video through your news feed in the browser. 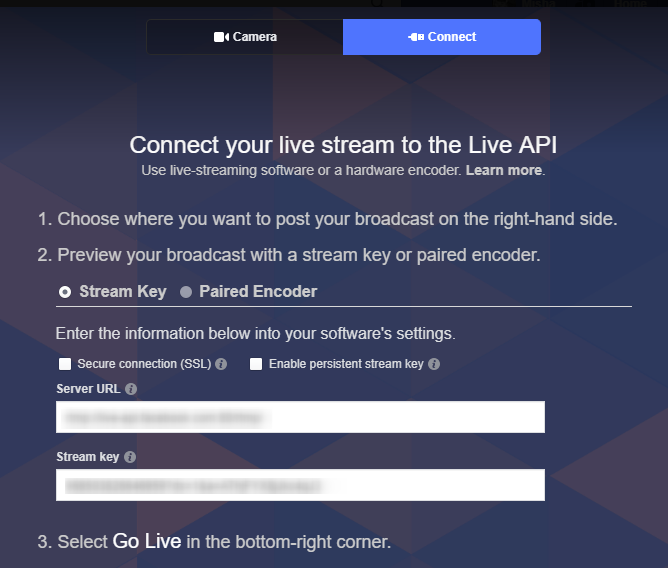 Press the Live Streaming button to start setting up your stream. 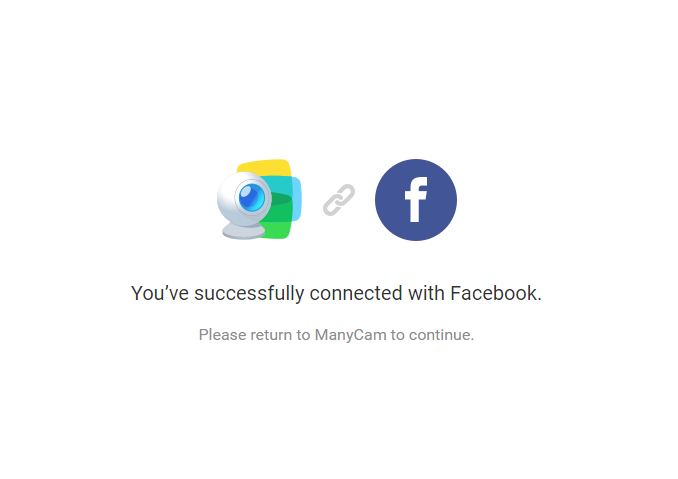 Click Login to link ManyCam to your Facebook account. Make sure you are logged into your Facebook account in a browser. 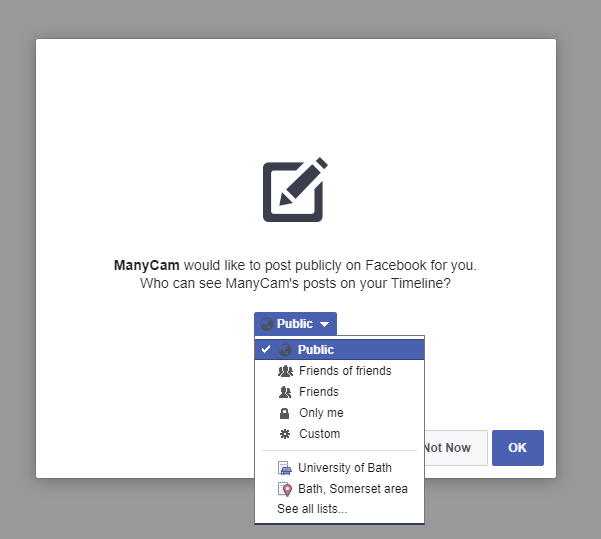 You will be transferred to your Facebook profile to configure permissions for ManyCam. Press continue to move to the next step. 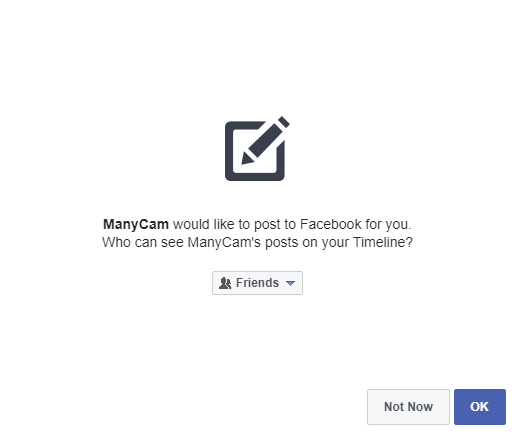 In this step, you need to choose who will be able to see ManyCam’s posts. Press OK to continue to the next step. In this step, it is important that you choose Public. This setting can be adjusted later in ManyCam. 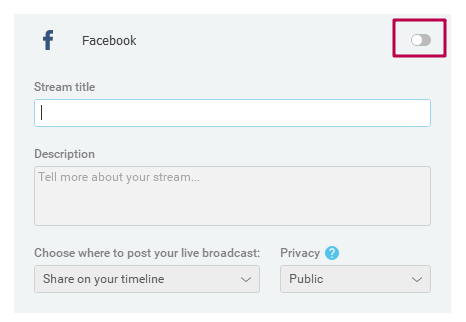 In order to stream live to your groups or pages, you need to allow access to them. Press OK to continue. You should receive a notification (see below) once you finish setting up the permissions. 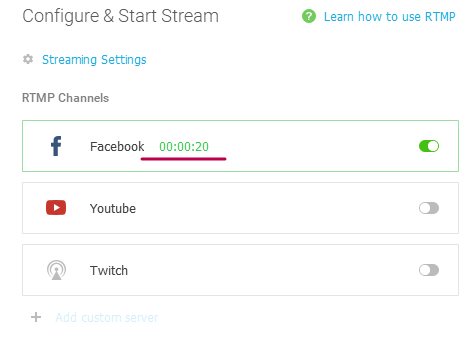 Go back to ManyCam and configure your stream. 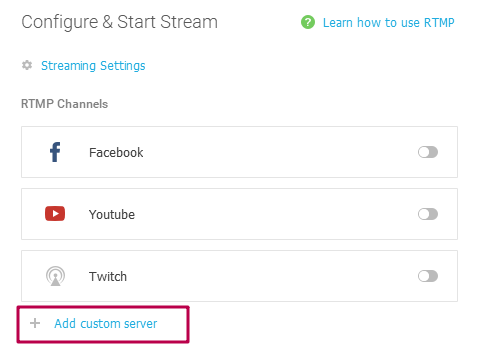 Here you can pick a name for your stream, add a description, select destination (note: Groups are unavailable), and adjust privacy settings. Once your stream is set, turn the switcher on to go live. 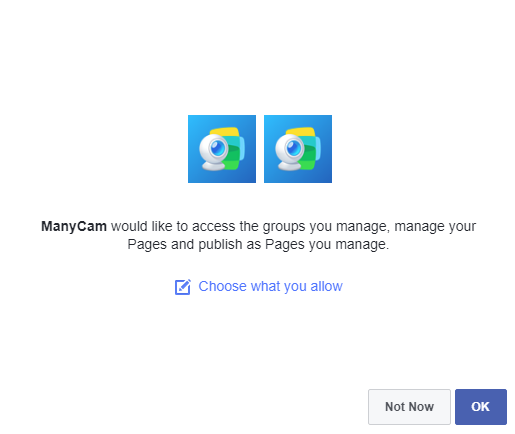 This option does not allow streaming to Facebook groups. Please go to this section to set up a stream to a group. The switcher will turn green and you will see a timer showing the duration of your live stream. 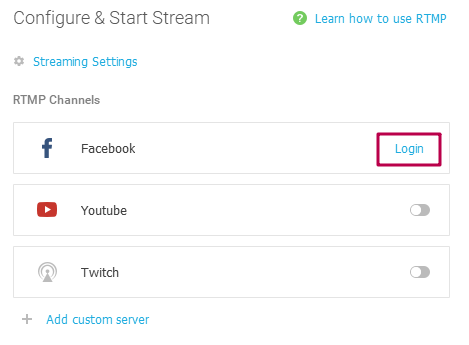 You can access your stream settings by clicking on the “Edit” button next to the switcher. This option is only available in Google Chrome and FireFox browsers. 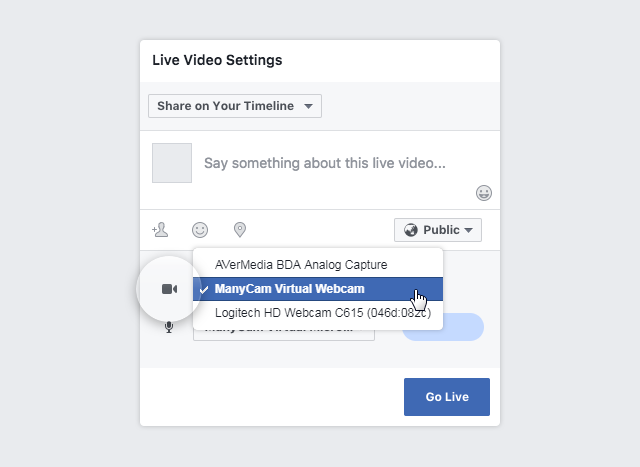 Alternatively, you can go live using the Facebook Connect tab setting instead of Camera. 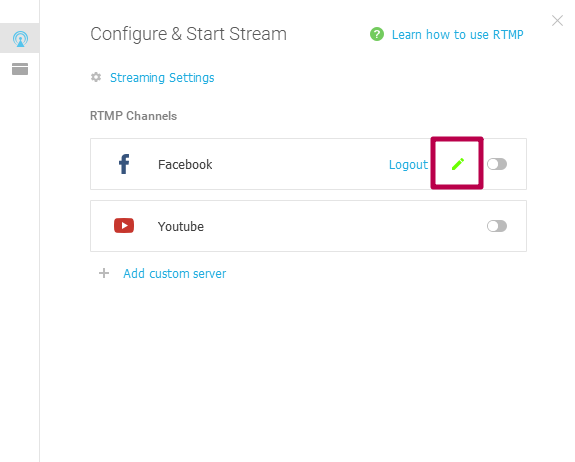 You will need the Server URL and Stream key a few steps alter to create a custom RTMP server. 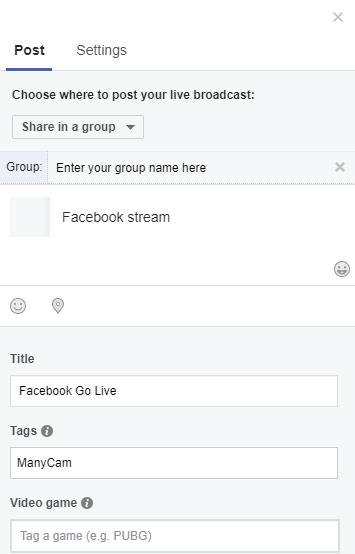 In case you need to stream to a group, select Share in a group from the drop-down list on the right under Choose where to post your live broadcast. Then start entering your group name and select it from the list of options. Add a description, stream title, and some tags to your stream if necessary. 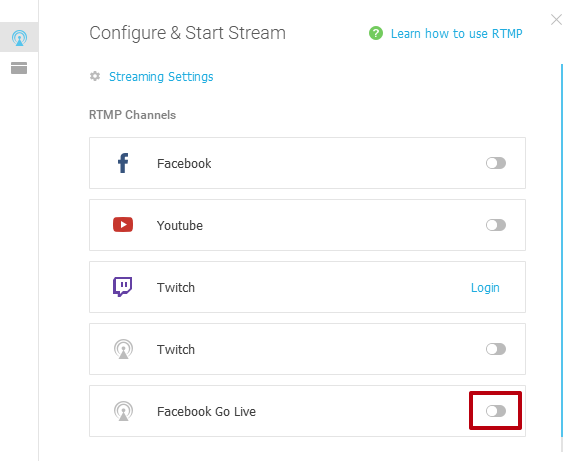 Copy-paste the RTMP settings (RTMP server URL, Stream key) from the Facebook Connect tab. 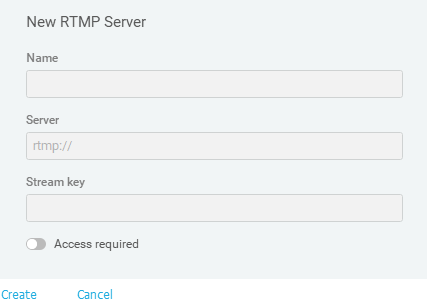 Enter any name for your RTMP server and click Create once ready. Once your stream is set, turn the switcher on to go live. Go back to Facebook Connect tab in your browser. Once you see a preview of your stream, click Go Live. 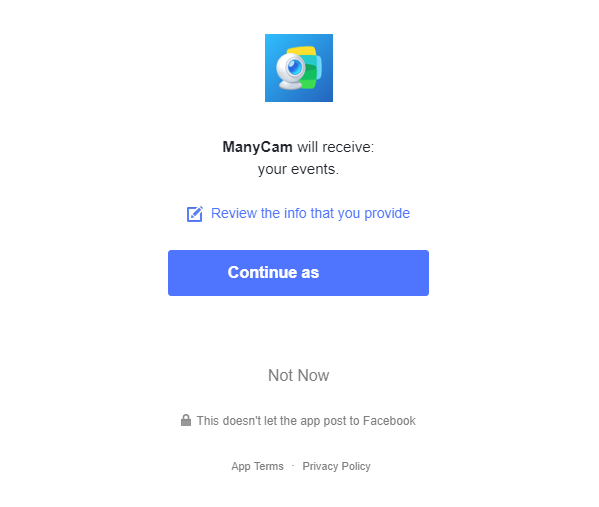 In order to stream to groups, ManyCam App must be added into each group where live streaming will be used. 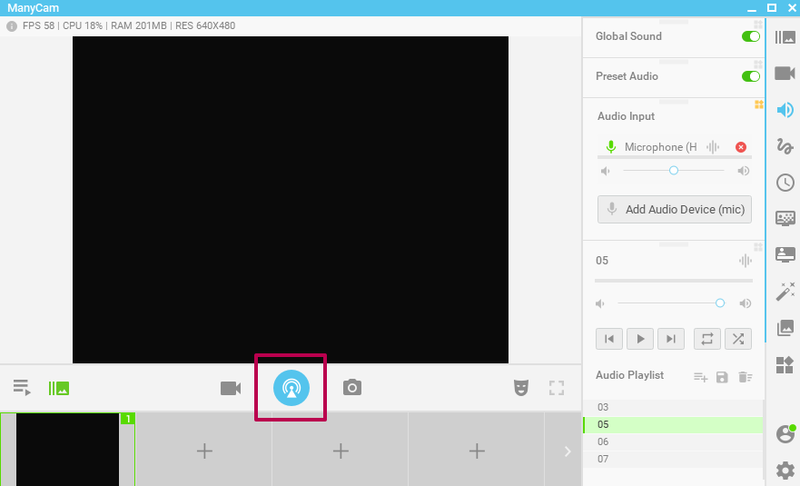 Note that streaming from ManyCam to groups will work only for groups that you manage. 3) In the search field, type-in ManyCam, and add it from the search results. On the next step click Add. This includes Facebook profiles, pages, groups, and events that you manage.